Many banks in Kenya are embracing technology and shifting their attention to Mobile banking. This is because of the service’s convenience which makes it very attractive to customers. 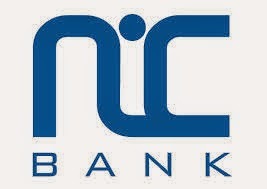 Nic Bank has not been left behind. Welcome to the world of Nic Bank Mobile Banking. If you would like to transfer some of the money in your Mpesa to your Nic Bank account and are looking for the Nic Bank Mpesa paybill number, then you’ve come to the right place. In this article we’re going to look at how you go about depositing money from your Mpesa to your Nic Bank account. 6.Key in your M-Pesa PIN. Remember to always keep it a secret. The charges for transfers are they standardized at kes. 51 or there is ranges for the charges. Kindly advice. The transfers that are dealt with kopokopo to be precise.